The Joe 15 Team is having their Annual Blood Drive in honor of Joe Page on Saturday, Jan. 26, 9:00 a. m.-2:00 p. m. at the Manassas Church of the Brethren on Nokesville Road in Manassas. Please schedule your lifesaving appointment at [email protected] or (703) 895-1606. The Haymarket Food Pantry invites you and your family to their Annual Souper Bowl Bingo event on Saturday, Jan. 26, 3:00-5:00 p. m. at Alvey Elementary School in Haymarket. Bingo cards are just $1 or a can of soup. Come join the fun with your entire family. Snacks and refreshments will also be available. Historic Manassas is having their 5th Annual Souper Bowl Competition on Friday, Feb. 1 from 6:00-9:00 p. m. You can purchase tickets for just $10 for unlimited soup samples. Volunteers are needed to help serve soup and sell tickets. Please email [email protected] to register. The Prince William Public Library System is having a Nonprofit Resource Fair at Potomac Library on Feb. 2 from 10:00 a. m.-2:00 p. m., and at Central Library on Feb. 23, 10:00 a. m.-2:00 p. m. Come meet representatives from area organizations to learn the many ways to help the folks they serve. The Quantico Creek Clean-up, in partnership with the Town of Dumfries, is Saturday, Feb. 23, 9:00 a. m.-12:00 noon. This is a great way to solve the plastic pollution in the creek. Cleanup supplies will be provided. But please wear boots and dress for the weather. Contact [email protected] to learn more. The Tough Mudder is coming to Silver Lake in Haymarket on June 1-2. This team oriented 8-10 mile obstacle course will have thousands of participants. Volunteers are needed in lots of locations and duties. You won’t want to miss this fun event. Please visit toughmudder.com/events/volunteer-information to learn more. This event is hosted by the PWC Office of Tourism. Leesylvania State Park needs volunteers for their monthly shoreline cleanups to pick up trash and driftwood. The work days are Feb. 16, March 23, April 13 and May 18. Please register by calling the visitor center at (703) 583-6904 so they have your name to waive the park entry fee. Serve our Willing Warriors is having their Annual Monte Carlo Night on Saturday, Feb. 23 at the Regency Dominion Clubhouse. The event will be great fun for a great cause. Please visit willingwarriors.org/events to purchase tickets and learn more. ACTS is celebrating their 50th Anniversary of service to our community. You are invited to their Gala on Feb. 28 at the Hylton Performing Arts Center, 6:00-9:00 p. m. There are sponsorships available to help meet a $50,000 matching gift! Tickets go on sale Jan. 20. Please visit actspwc.org/gala to learn more. Volunteers are needed at The Catholic Charities Saint Lucy Food Distribution Hub in Manassas to help sort, package and perhaps deliver food items to local food pantries in the area in 40-pound boxes. Hours are Monday-Friday, 10:00 a. m. to 4:00 p. m. Come help families in need. Please email [email protected] to learn more. The Retired and Senior Volunteer Program is looking for volunteers age 55+ to deliver noon meals through the Meals on Wheels Program. Shifts are just two-three hours and available throughout the area. 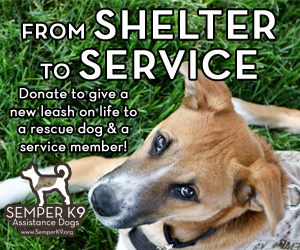 RSVP members receive a mileage reimbursement and additional insurance coverage at no cost to the volunteer. Please call Jan at (571) 292-5307 to learn more. Virginia Cooperative Extension is having their Certified Master Financial Educator Volunteer Training on Wednesdays, 1:00-4:00 p. m. March 6 – May 1, or Mondays 6:30-9:30 p. m., April 29-June 24. You will be fully trained to present credit and debit management, spending plans, cash management, identity theft, savings and investments, personal financial coaching and more. One-time registration of $75 includes a background check. Please visit pwcgov.org/money, then click on volunteer to learn more. The Greater Prince William Medical Reserve Corps needs both medical and non-medical volunteers to join their ranks. These volunteers are trained to respond to public health emergencies as well as day to day activities. They offer tons of training topics to build your skill set. Please call Amy at (703) 792-7341 to learn more. Catholic Charities Hogar Center is looking for volunteers to assist students with job applications, resumes, and mock interviews to prepare them for the workforce. Email [email protected] to learn more. Saved Hands Foundation needs volunteers to be instructors, write grants and help in the office. Please visit savedhandsfoundation.org to learn more and register as a volunteer. 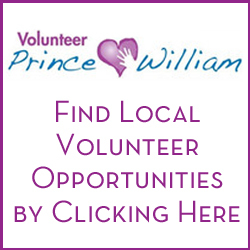 If you are looking for other opportunities, please call Volunteer Prince William at (703) 369-5292 or visit volunteerprincewilliam.org. Thanks so much for all you do in our community.